I bring Suu Balm with me everywhere I go. I love the cooling feeling- It stops my itch. 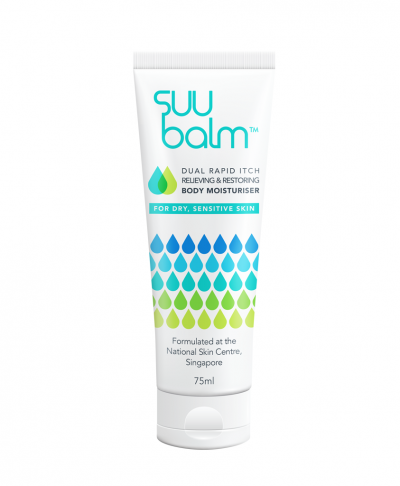 I used to scratch till my skin breaks but not anymore because of Suu Balm. Love it so much. Thank you Suu Balm. It really heals and moisturises my skin. Thank you once again. My daughter last had Hives at 2yo+. She often scratches till she bleeds! Some time back, my colleague recommended Suu Balm Kids so we got it at Guardian. It is our go-to cream now. The fast itch relieving really works, even for myself. I used it recently after a waxing session. The cooling sensation was great and I stopped itching thereafter. Did you know that eczema affects up to 20% of kids and 5% of adults? If you suffer from dry, itchy skin, you may actually have eczema. 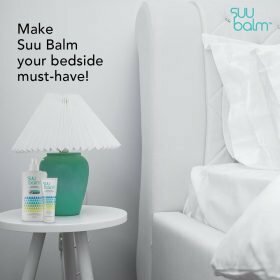 Suu Balm™ is clinically proven to stop the itch within minutes and moisturise by repairing the skin barrier at a leading dermatology hospital in Asia. Most of us have experienced dry skin, maybe on a plane, in a cold country, or maybe as we get older. Dry skin leads to itchy skin over time, so it is really important to treat it early. 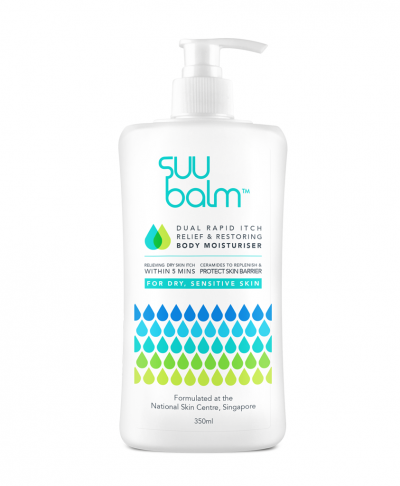 Suu Balm™ restores the natural moisture in the skin by repairing the skin’s barrier, and stops the itching within minutes. Sensitive skin describes those of us whose skin reacts easily to ingredients in cosmetic products, soaps, detergents, etc.. 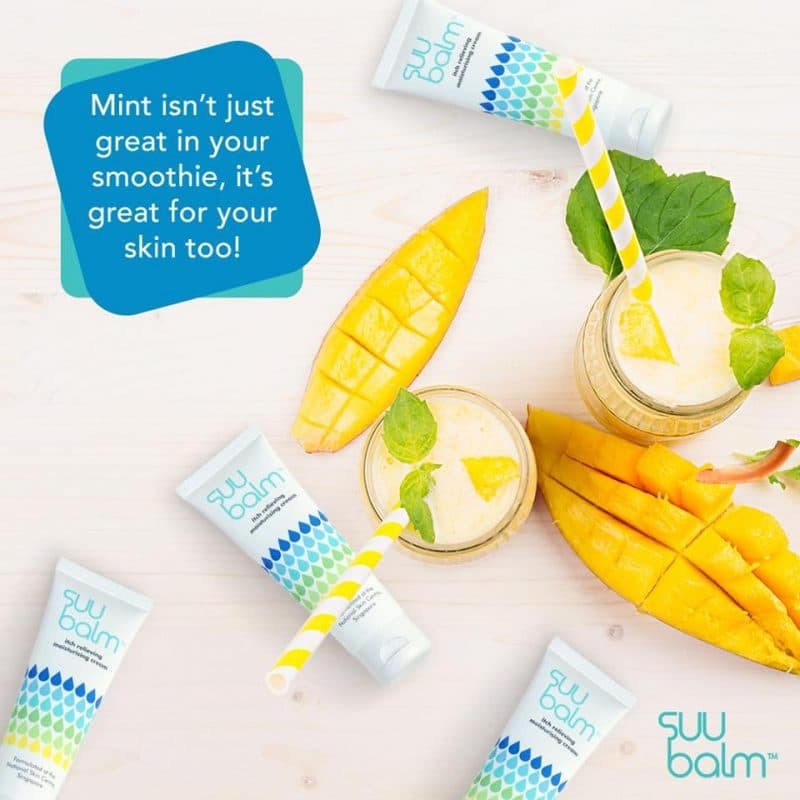 It requires not only avoiding harsh ingredients, but also regular skin care. 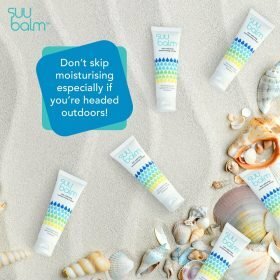 Suu Balm™ is the ideal moisturiser for managing sensitive skin, because it’s ingredients were chosen by a dermatologist to be suitable for sensitive skin. 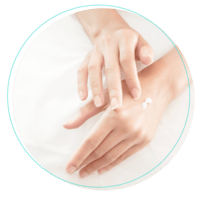 Psoriasis is a common inflammatory condition affecting the skin. It affects around 2% of the population, affects men and women equally, and can occur at any age, though it is less common in childhood. It tends to come and go unpredictably. The appearance of Psoriasis is of patches (called plaques) of red, scaly, dry skin, which is often very itchy and can be painful. 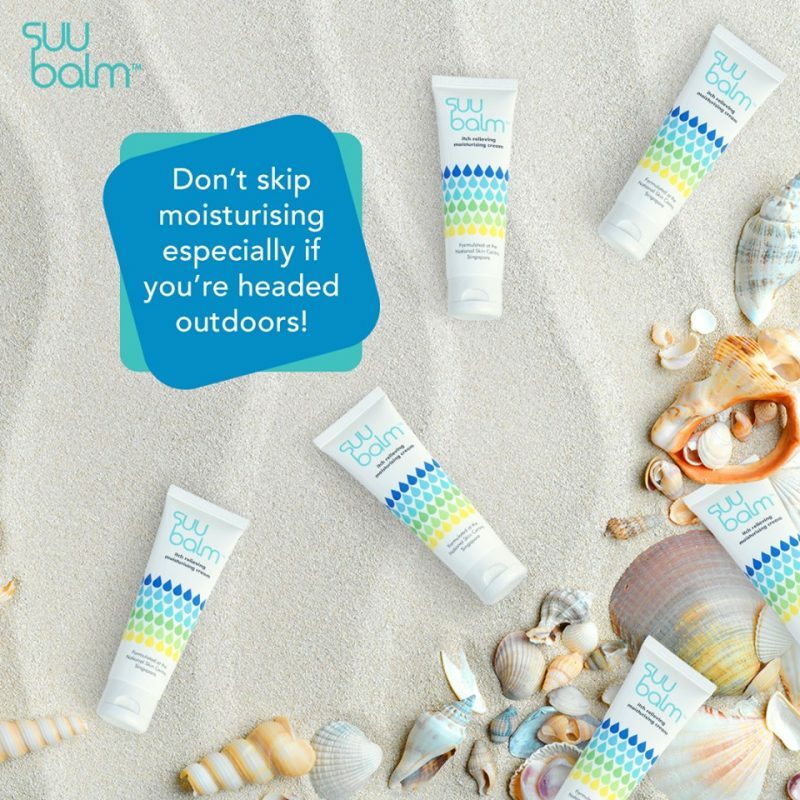 Suu Balm™ is an effective dual-benefit moisturiser that stops itching within minutes as well as repairs the skin barrier. 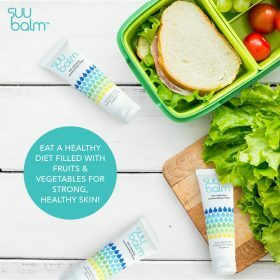 What is safe for your child’s skin?